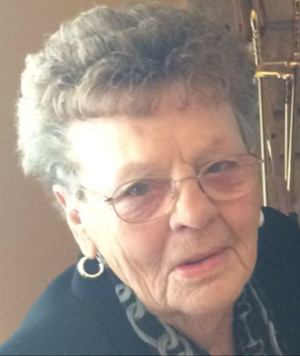 Imogene Sheets Marshall, age 87, of West Liberty, KY passed away peacefully on April 11, 2019 at her residence surrounded by family. Born July 9,1931 in Bonny,KY; the daughter of the late Norman and Hazel Vest Sheets. In addition to her parents, she was preceded in death by her husband Halcom Vaughn Marshall on December 19,2011, three sisters, Carolene Sheets Pelfrey, Cathlene Sheets and Minnie Sheets, and two brothers Earl Ray Sheets and Larry David Sheets. She is survived by one son Donald Ray Dixon and Rhonda of West Liberty, KY; two daughters Belinda Marshall Jordan of West Liberty, Alisa Marshall Burnett and Patrick of Wheelersburg, OH. Five grandsons, William Marshall Dixon, Charles Winston Dixon, Marshall Douglas Jordan, Patrick Lee Burnett and Riley Norman Burnett; two great-grandsons Oliver Winston Dixon and Jenson Bradley Dixon, several nieces and nephews. Imogene was founder and owner of Jean's Dress Shop. In 1965, she along with her husband Halcom, established Marshall Ford Equipment Company. Imogene was a member of the West Liberty United Methodist Churchp>Funeral services will be held 5:30pm Monday April 15,2019 at Herald & Stewart & Halsey Chapel with Pastor Jamie Brunk officiating. Burial in Ezel Cemetery, Ezel, KY. Visitation will be held 3:30pm Monday at Herald & Stewart & Halsey Funeral Home. West Liberty, KY. Pallbearers: William Marshall Dixon, Charles Winston Dixon, Marshall Douglas Jordan, Patrick Lee Burnett, Riley Norman Burnett, Oliver Winston Dixon and Bradford Dean Pelfrey. Memorial contributions may be made to West Liberty United Methodist Church, West Liberty, KY 41472.